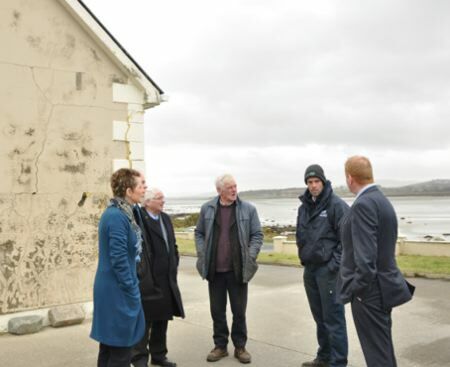 A number of damning official reports into defective buildings continue to remain unpublished by the Department of Housing under Minister Simon Coveney. In a recent Independent article “Cracking up: the legacy of Celtic Tiger Ireland” the issue of homes affected by pyrite and mica in Donegal and Mayo was noted “In the most extreme cases, such as the hundreds of houses built with defective building blocks in Donegal, homes are literally crumbling”. The Department of Housing (environment) withheld a damning report into fire safety in the Holywell estate in Swords, Co Dublin for five years until the Sunday Business Post obtained a copy and went public. The Department was made aware of serious concerns of the Local Authority into fire safety in the estate as far back as 2007 did not inform residents (see article here). Former Minister Alan Kelly commissioned a report into a potentially fatal fire in Millfield Manor in Newbridge, Co Kildare when a row of six terraced hoes went up in flames in just 30 minutes in April 2015. This report was completed later that year and was due to be published in January 2016. Department of Housing under Simon Coveney continues to withhold publication (see article here). In October 2015 following a number of high-profile defects coming to light, a review of the ‘Rapid’ build modular schools programme was announced by former Minister of the Environment Jan O’Sullivan TD (see post here). Over 17 months later this state report remains unpublished. The ‘Rapid’ build schools programme subsequently was used as the template for the ‘Rapid’ build programme for social housing delivery being pursued by the current government. This entry was posted in Building Regulations on May 25, 2017 by BRegs Admin.